Dr Blythe's research concerns modelling and understanding complex far-from-equilibrium systems. These systems abound at all scales, from cells through driven materials to evolving ecosystems and societies. As yet we lack a complete theory for predicting the emergent macroscopic consequences of the interactions between the constituents of these systems. Until this is achieved, such long-term goals as controlling materials driven by industrial processes, or forecasting the future behaviour of an ecosystem or a society will remain out of reach. As such, emergence and physics far from equilibrium has been recognised as a Physical Science Grand Challenge for the 21st Century. Dr Blythe's research directly addresses this challenge in two ways. First, he investigates far-from-equilibrium systems at a fundamental level by means of mathematical analyses of models to establish how basic properties of a system (e.g., symmetries, conservation laws and spatial heterogeneity) govern their macroscopic behaviour. Second, there are many opportunities to apply quantitative techniques from the physical sciences to test theories in other disciplines in new ways. A major part of his recent research has involved applications of modelling in the context of human linguistic behaviour at various levels of description. The nature of evolving linguistic systems – whereby patterns of behaviour at the level of societies emerge from a combination of human cognition and social interactions – makes them a natural fit to the paradigmatic approach of statistical physics that attempts to explain patterns in macroscopic systems with many constituents from knowledge of the interactions between component parts. 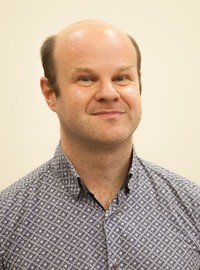 Dr Blythe was appointed to the University as a Lecturer in 2007 and promoted to Reader in 2014. His professional activities include being a Divisional Associate Editor of Physical Review Letters. Linear Algebra and Several Variable Calculus - Pre-Honours introductory mathematics for physics, covering vectors, matrices, partial differentiation and multiple integration in a physics context. MPhys Project - Final year research project for students on the MPhys integrated masters programmes in Physics, Astrophysics, Theoretical, Mathematical and Computational Physics. Research Methods in Physics - Juniour Honours introduction to cutting-edge research in physics and a chance to develop research skills such as searching and understanding the scientific literature, writing scientifically, critiquing other scientists' work and giving presentations. Nonequilibrium Statistical Mechanics - Biennial postgraduate course on the application of relevant statistical physics methods to a variety of nonequilibrium systems. This course is taught as part of the SUPA Graduate School. Modelling and Visualisation in Physics - Senior Honours course in computational physics, covering key modelling and simulation methods (Monte Carlo, molecular dynamics, iterative methods for solving partial differential equations) and data visualisation and analysis techniques. Stochastic models of evolutionary dynamics at "Steps in Evolution" summer school, Jacobs University, Germany (2009). Modelling Language Change at Linguistics Society of America Summer Institute, University of Colorado, Boulder (2011). Equilibrium and Nonequilibrium Particle Number Fluctuations as part of MSc Masterclass in Modelling Complex Systems, Kings College London (2013). In this video Richard explains why the apparently unrelated questions of why peppercorns jam in the mouth of a funnel and how dialects change can be answered by statistical physicists.